We are back to "normal" around here. I have returned to my minimalism projects. I want to continue on my path to minimalism and become more discerning about what we really need. 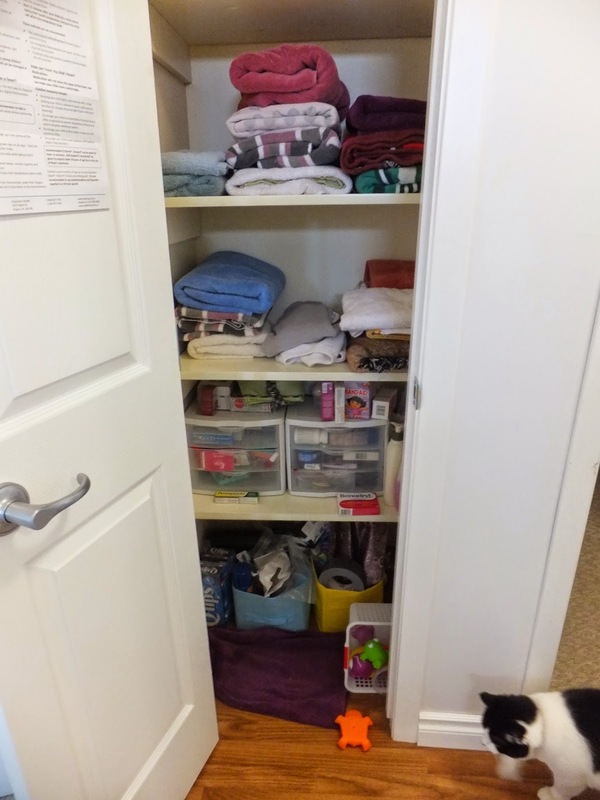 This week I tackled the linen closet. 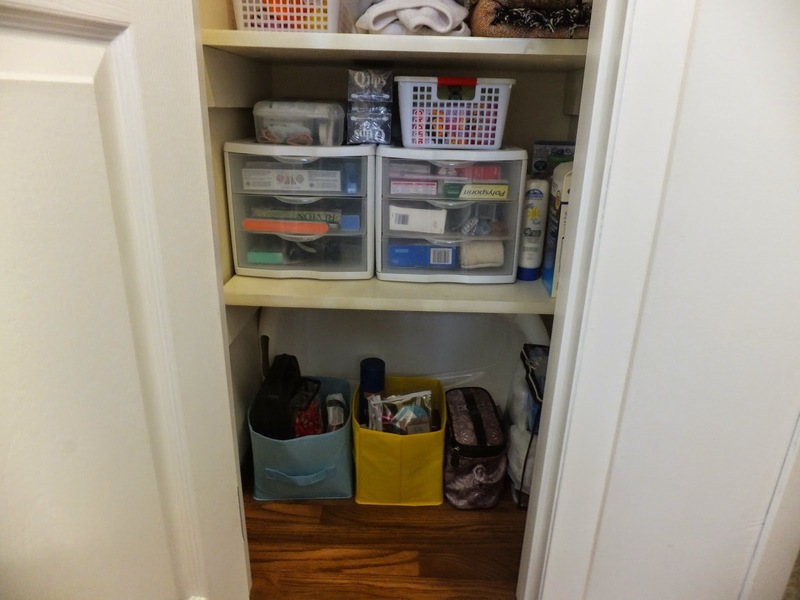 This is a closet that should be done every 6 months in my house. 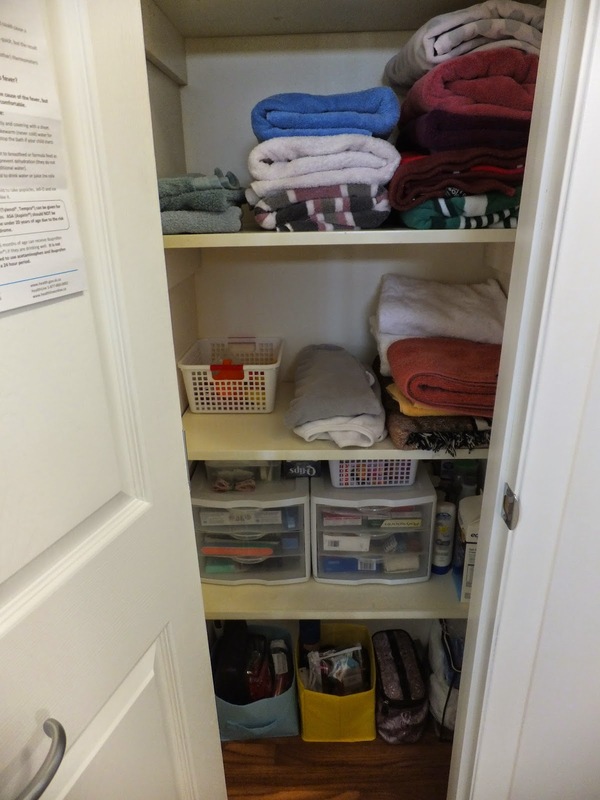 We store our towels, medications (Tylenol, Benadryl, etc), nail care products and extra toiletries in this closet. It doesn't look TERRIBLE, but it is still in need of some work. I went through the towels and got rid of one that was in rough shape. I went through all the medications and got rid of anything that was expired. (We only had a few products that had expired since I try to go through them every 6 months.) Your local pharmacy can help you with the proper disposal of medications. I went through our products and got rid of anything that wasn't used or had expired. I had a few items for donation, but mostly I just had expired products hitting trash. 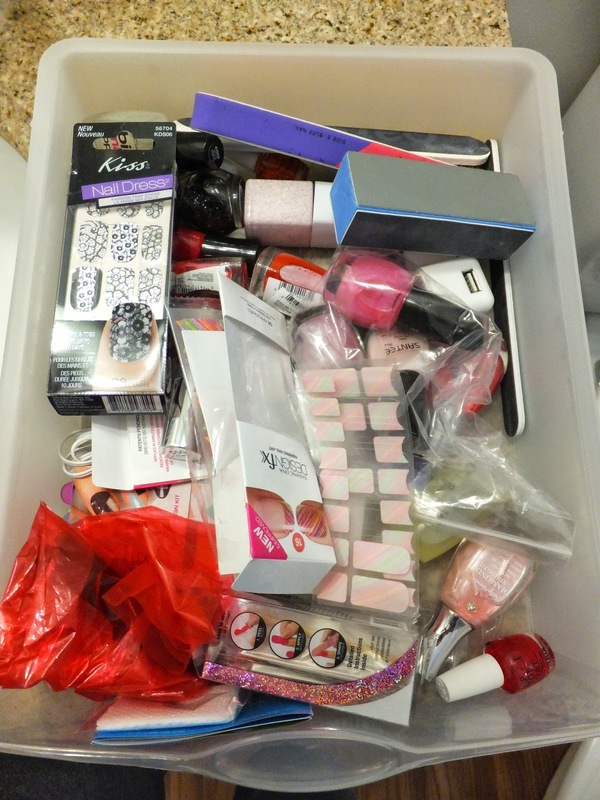 I will be more aware of what we buy, as it seems we have an abundance of extra personal products, right now. Wardrobe Wednesday- In the deep freeze!